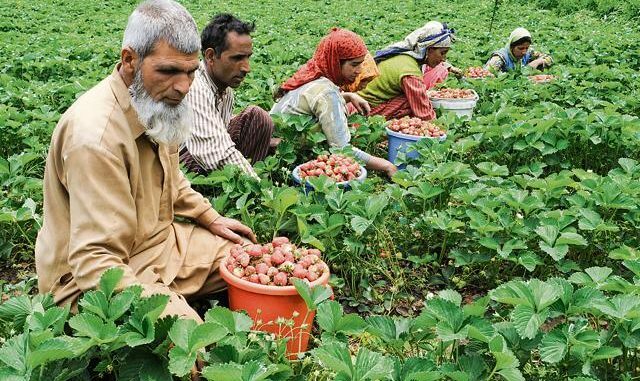 The Union ministry of agriculture has mapped 185 districts under a project using remote sensing technology to identify areas best suited for seven different fruits and vegetables across the country, agriculture minister Radha Mohan Singh said on Monday. The first report, for eight states in the North East, will be ready in December and will be given to the state governments in January, Singh told reporters after a presentation on the project known as CHAMAN or Coordinated Horticulture Assessment and Management using geoinformatics. “We will have a meeting with the state officials and share the findings with them,” the Union minister said. The reports from the project for the rest of the districts will be ready in March 2018 for other states will be shared with state governments and agriculture extension departments for advising farmers on crop suitability in the areas, Singh said. Agriculture ministry officials said that the state governments and industry can set up post-produce infrastructure based on the information provided. The project has mapped major crop growing districts for banana, mango, citrus fruits, potato, onion, tomato and chilly. The scheme is part of the government’s ambitious target for doubling farmers’ income by 2022. The second phase of the project envisages complete horticulture mapping of the country with two to three major districts for every state.